well the last one for the month anyway....hehehe! Every month here at SDK, Kimmy runs our Sketch with a Twist Challenge. Kimmy challenges you to complete several challenges each with it's own posting bonus. Complete one challenge get one bonus, complete all 5 challenges you get 5 bonuses.....woohoo! 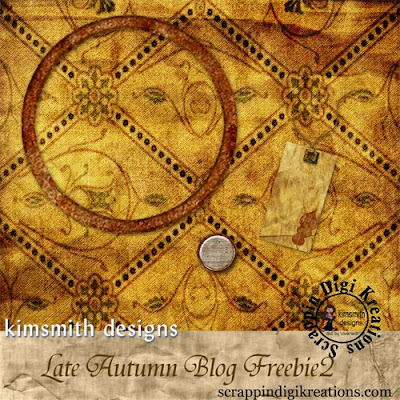 This sketch was inspired by the 2007 Autumn Leaves Designing With Calendar, page 27 August, my example! 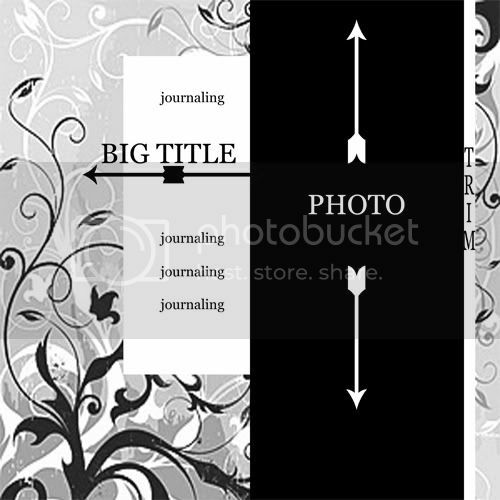 Your challenge is to choose 1 photo or get creative and use a large photo as your background in the photo space on the sketch, or a large photo as your background with a smaller photo as the focus, and then use the journaling space to journal your thoughts, or your child's thoughts, about Back to School. Alternatively, if you don't have kids, borrow one (as I have done with my example), or use your pet and journal your thoughts about your pet. No pets either? You can still do this challenge - pick a photo of yourself or anyone else and journal your thoughts! Post your layout links in the Sketch with a Twist forum by midnight, September 30th to qualify for a posting bonus. Kimmy is so generous.....here is a blog freebie too!!! Thanks Kimmy you are a marvel. Doro's having a birthday sale and you get the present - 50% OFF all of Doro's Designs until midnight Australian time 30th September. Kit contains: 5 papers, 1 ribbon, 1 ribbon knot, 1 tag, 1 frame, flowers, sequins and other assorted elements. Get this little gem HERE! Ghosties, Goulies and Goblins will soon be here....wooooOOOOoooooo.......but you can get a headstart on your scrapping with these terrific Halloween kits from Gwenevere Dupus! TracyB is saying farewell with a 50%off Sale on all her products in the store......GET THEM HERE.....TracyB has been with SDK from the very beginning and we will be sad to see her go. Farewell dear friend, my your future endeavous bring you much joy and happiness. Thank you SammyD and LorieM Designs for these great additions! Wow have we been busy little bees at SDK over the last few weeks.....we now have 14 Designers on our talented team! Now that your eyes have had a feast of new and wonderful kits paraded before them here is a freebie for you........thank you Gwenevere Dupus for this gorgeous bonus to her Fairy Dust Kit!!! Here is part 3 of this months Supa Digi Kit Freebie! Thank you Herald for this delightful addition, you can see more of Herald's Designs HERE. Advanced Photoshop Magazine is touted as "The magazine for Adobe Photoshop professionals" and is filled with tips, tutorials and news for the serious Photoshop user. Inside each monthly issue are the following standard features: - Insight - news and showcases from around the globe - Helpdesk - q&a from readers - Resources - reviews of assets to improve your work - Features - a number of feature articles ranging from interviews to review of hardware and software - Techniques - tutorials to help you work faster and better - This Month's CD - project files and other goodies such as fonts, brushes and presets. Every month includes a cd filled with select pdf reprints of older articles, the files you need to follow along with the tutorials and tons of other goodies as stated above. As the title states, this is an advanced magazine, suitable for intermediate to expert Photoshop users. However, some beginners who have a grasp on Photoshop's controls will find the magazine to be just the answer to jumpstarting their creative juices and exploring Photoshop further. 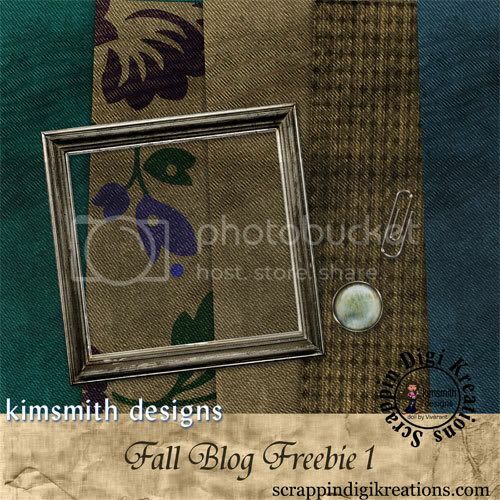 You can also jumpstart your creative juices by picking up Kimmy's freebie here. The most recent issue I have is issue 33 and there are 5 in-depth tutorials ranging from creating rusty metal using rendered lighting to creating an oil-painting effect. As stated previously, these tutorials are quite advanced and require plenty of time to complete satisfactorily. I highly recommend this magazine if you are serious about learning Photoshop and learning new techniques to help you become a better scrapper, designer and photo-editor. Advanced Photoshop Magazine is published in the UK by Imagine Publishing and is available in the US at Borders and Barnes & Noble. While it is quite pricey (US prices), keep in mind that it is an imported magazine and you can always subscribe at a deep discount. For more information check out their site advancedphotoshop.co.uk . Lastly, please check out this thread HERE in the SDK forums - I'll be happy to host a chat/challenge for our members! VERSATILITY - something I need to have most days I think......lol! 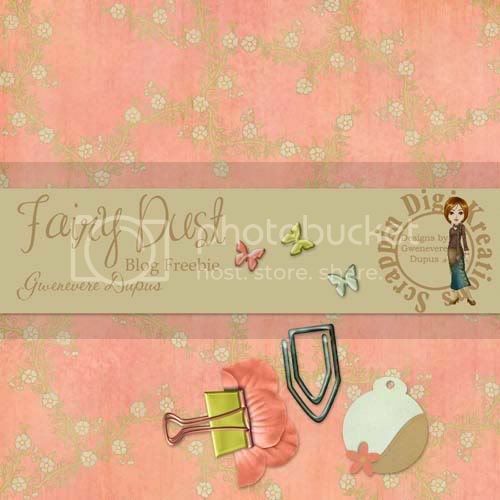 Well this week Doreen is giving us Versatility with these delight kits and quickpages all new to the store, and also take a look at her Funny Bubbles Alpha! and here is Funny Bubbles a delightful alpha you just have to have in your stash...right!Have a great day!